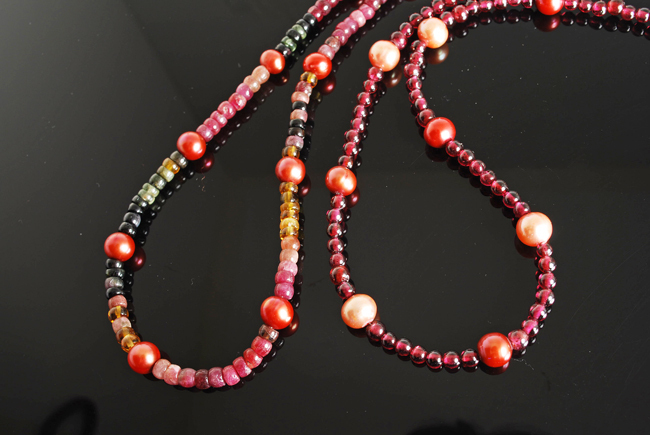 Light and dark pink freshwater pearls play on 18″ gemstone strands of garnet and tourmaline. Wear together or separately. Guaranteed to brighten up any outfit!